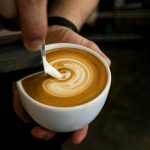 "how YOU can steam milk foam as good as a World Barista Champion with your Home espresso machine." Ever wished you could froth milk foam as creamy and silky as a Barista with your own espresso machine? Because you know it is the ingredient that makes your morning cappuccino or latte truly delicious. But it is kind of hard to get your milk foam truly smooth and only the best machines will do right? Wrong. 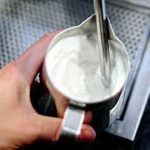 We will show you one simple trick you can use to make Barista Quality milk foam with your own machine right away. Sign up to receive our free video and see for yourself right now. We will shoot it straight to your inbox, and send some more insights to help you get the most delicious coffee out of your machine at home. Just click below to sign up! You can unsubscribe at any time. To make perfect milk foam, your steam wand needs to function properly. First you need a steam pressure of minimal 0,8 Bar. A bit more pressure makes your job easier. Second, make sure you have the correct/original steam tip for your machine installed so that your machine is able to keep pressure high while steaming. 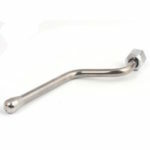 And third, check if your steam wand isn't clogged as this will take your power away. Perfect milk foam contains just enough air to make a creamy texture. If you look at it, it doesn't contain any bubbles at all. One of the secrets to making foam like this, is not to add to much air. You can do this by placing the tip of the steam wand right under the surface of the milk and by holding it there until the milk is ready. Seriously, you can do it without using your hands and with your eyes closed. Right after steaming perfect milk foam, you need to finish your Cappuccino or Latte quickly. The reason? They turn out best if your milk foam is very well mixed, into a homogeneous mass. The moment milk foam stops moving, the milk and foam separate again, making it harder to pour and mix. Pour right in the middle of the cup, while holding the sprout of the jug on the side of the cup. Hold the tip of the jug as close to the coffee as possible. Don't be to careful and pour firm and with a constant flow. 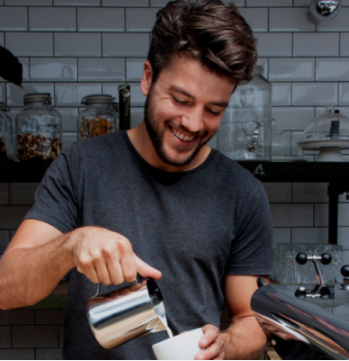 Tjeerd Schravendeel has helped over 900 hospitality entrepreneurs to serve the most delicious coffee in their business. With Foam Locus he aims to help every cafe owner and home barista to make World Class milk foam instantly. Why? Because it is absolutely delicious and he likes doing it. Foam Locus is based in Amsterdam, The Netherlands. If you have any questions, please contact us directly by sending an email to our info@ address. Tjeerds 1 minute video shows you how to easily froth perfect milk without even using your hands. 100% Free.